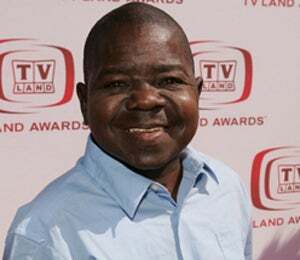 After undergoing emergency surgery, former child star Gary Coleman passed away today at age 42. 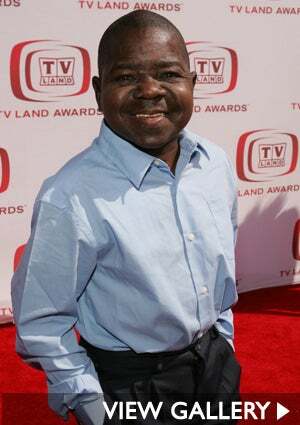 Coleman is best known for playing Arnold Jackson, a little boy who was adopted by a wealthy White widower on the 70’s and 80’s TV show, “Diff’rent Strokes.” Arnold’s catchphrase — “Whatchu talkin’ ’bout Willis?” — will forever be a classic in our minds… Coleman had previously appeared on “The Jeffersons” and “Good Times” before landing his role on “Diff’rent Strokes,” and later guest-starred on a number of shows, including “The Fresh Prince of Bel-Air” and “The Simpsons.” Born in Zion, Illinois, Coleman was adopted by Edmonia Sue and W.G. Coleman. The actor suffered from congenital kidney disease, which stopped his growth at an early age, causing him to stand at 4 feet, 8 inches. He had two kidney transplants and required dialysis on a daily basis. On January 6, 2010, Coleman was rushed to a hospital in Los Angeles after he suffered a seizure. He was released shortly after. On May 26, he was admitted to Utah Valley Regional Medical Center in Provo after suffering a head injury. On May 27, he went into a coma and doctors placed him on life support. His wife, Shannon, decided to pull the life support, and Coleman died at 12:05 pm today. Rest in peace Mr. Coleman. We will always remember you.